These are rather savoury waffles, but sweet nonetheless. These vegan waffles are without normal sugar, but made with maple syrup. Grease the waffle iron with a little bit of canola oil. Preheat the waffle iron. 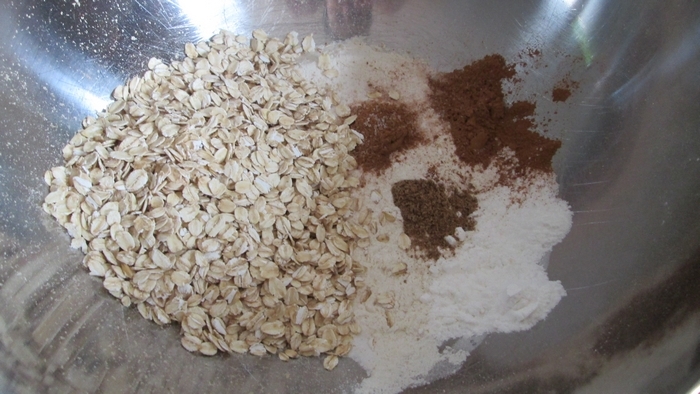 In a large bowl, mix the dry ingredients: flour, baking powder, baking soda, cinnamon, nutmeg, salt and oats. In another large bowl, mash the banana well with a fork. 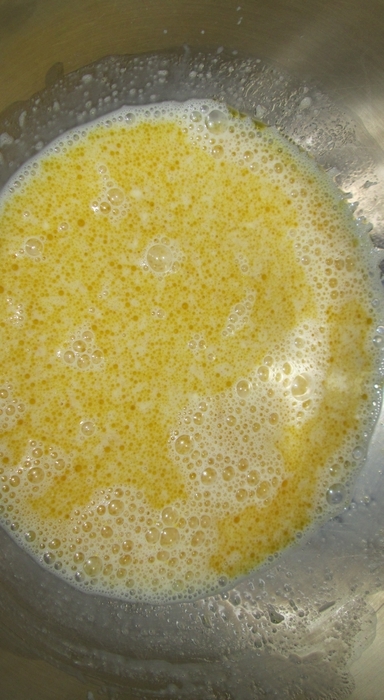 Mix the banana with the wet ingredients: soy milk, maple syrup and vegetable oil, till only very small lumps of banana left. Mix the dry ingredients with the wet ingredients. Fold in the raisins. In this cookbook, it says this recipe makes 12 regular waffles (or 4-6 Belgian waffles). 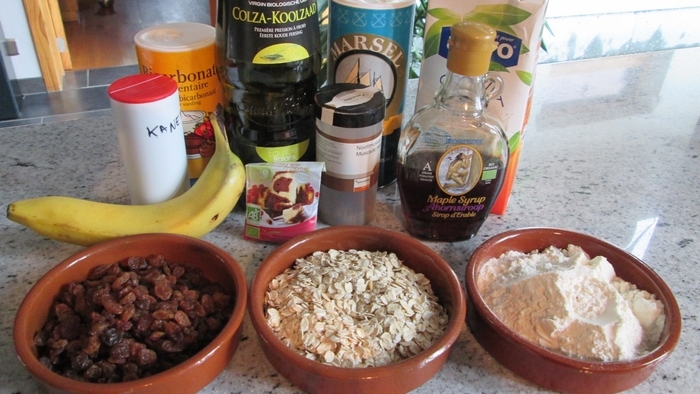 We could make 10 regular waffles with these ingredients (= 5 double ones, meaning 10 singles ones of 7×4). 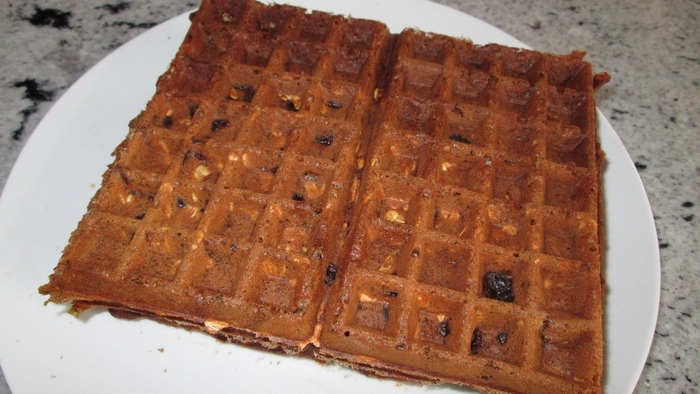 I wouldn’t make Belgian sized waffles with this recipe, since Belgian waffles (which are actually called Brussels waffles in Belgium) normally have a very light texture, which these oat raisin waffles don’t have. In the first baked waffles, the oats were very distinct and hard to chew. 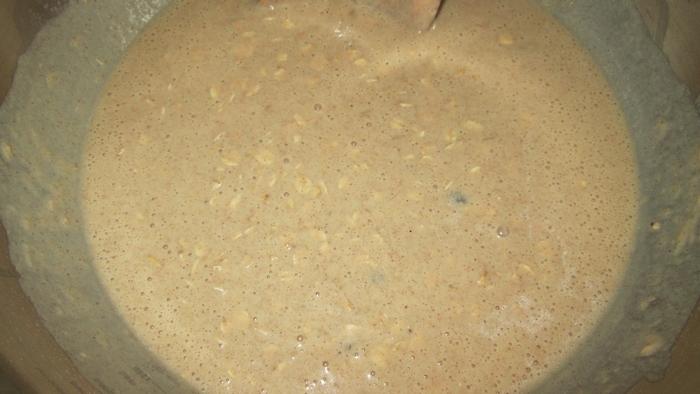 After having soaked in the batter for a while, the oats in the baked waffles became softer and easier to chew.